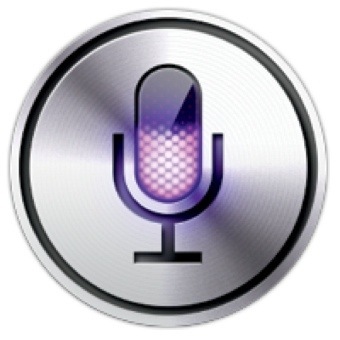 Apple’s iPhone desperately needs a Siri button! From the beginning of time (in other words, 2007), the iPhone has only had the Home button. Well, and yes, the Power button. Ok, ok, and the volume buttons! Throughout every iteration these buttons have remained constant. From time to time, the OS added varying functionality to these buttons such as Assistive Touch or Mute/Rotation Lock. But overall their main functionality remained the same. The bottom line is, there is a reason why mechanical buttons are limited in today’s touch era. Mechanical objects offer greater probability of malfunctions than do their digital counterparts. Case in point, the now ubiquitous and quite profitable iPhone repairs for replacing Home buttons and Power buttons. I myself have an iPhone 4 which needs its Home button replaced and my iPhone 4S which needs its Power button fixed. You don’t think much of it until your Home button breaks and you find it practically impossible to switch between apps. Not to mention when your Power button breaks and you are unable to reboot your iPhone or lock its screen in order to put it in your pocket. Enter Siri! She just got smarter and let’s face it, everyone digs that Star Trek functionality. It’s only going to get smarter. The simple fact that Siri can now launch apps is a great improvement. There’s no reason why Siri cannot control volume or even reboot your phone. This in and of itself eliminates the need of all three currently existing buttons. Not only would this reduce the probability of mechanical malfunctions, but it would distinguish the iPhone further. Lets hope 2013 introduces a truly innovative iPhone design with iPhone 6 and it starts by giving Siri the ability to replace our need to mechanically control devices. Above all an app must be responsive and quick. The best app in the world is useless if it takes too long to open. Great apps do one thing and do it right! If you try to juggle too much functionality into one app, the user gets overwhelmed. The best way nowadays to keep users interested is to Gamify or Socialize. Gamify means give your users that carrot they need to keep coming back. Socialize means connect your users to social media sites so that they can share their experience. The shortest distance between two points is a straight line. If you want the user to do something make it easy and quick to do so. Keep a certain uniformity between your website and your mobile app. If users find your website easy-to-use they will find your mobile app easy to use as well. Include some analytics in your app so that you can keep track of the users experience throughout the process. This will provide you with market information as to how to improve your product. Make sure your app is usable both with or without Internet conductivity. Give users will really thank you for this. Whenever possible and if it’s beneficial to the user try to customize the user experience. For example storing user credentials or personal preferences is a very big plus in the eyes of the beholder. Remember it’s a mobile device. The user will eventually try to contact your service or your company. Making direct links to telephones, email or websites will make the user experience that much better.